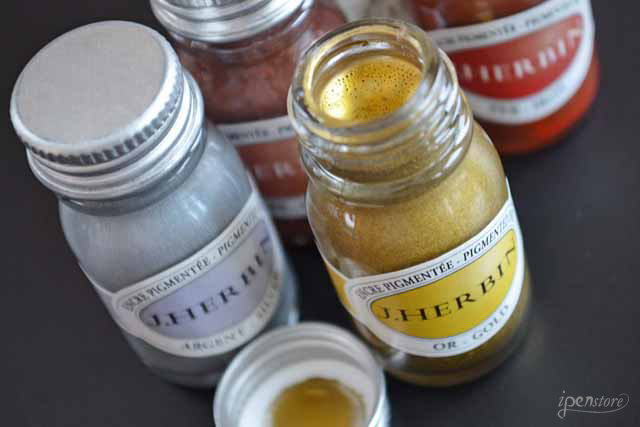 J. Herbin was established in 1670 and is the oldest name in ink production in the world. Herbin was a sailor, and from his many journeys to India, he brought back to Paris formulas for manufacturing inks and sealing waxes. Herbin uses all natural dyes in their fountain pen inks. This natural composition is reflected in the very neutral pH of the inks. J. Herbin scented inks are made from floral water of rose, orange, lavender, apple, and violets. 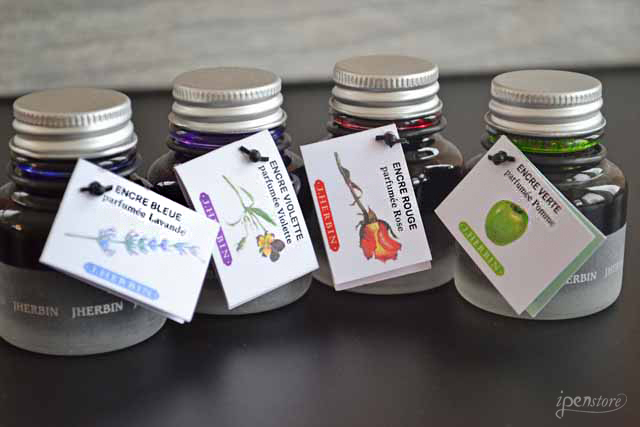 These inks are perfect for fountain pens because they are naturally scented and do not contain pigments. 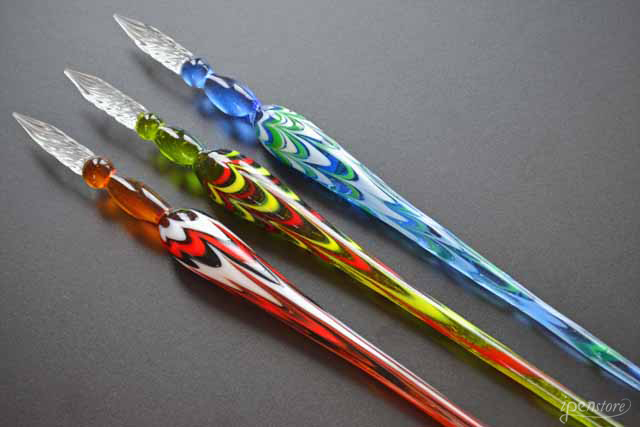 Hand blown glass pens in the tradition of 16th century Venice. Each pen is unique and a work of art. The fine glass tips are twisted in a spiral to hold the maximum amount of ink- enough to write a full page of text without re-dipping! 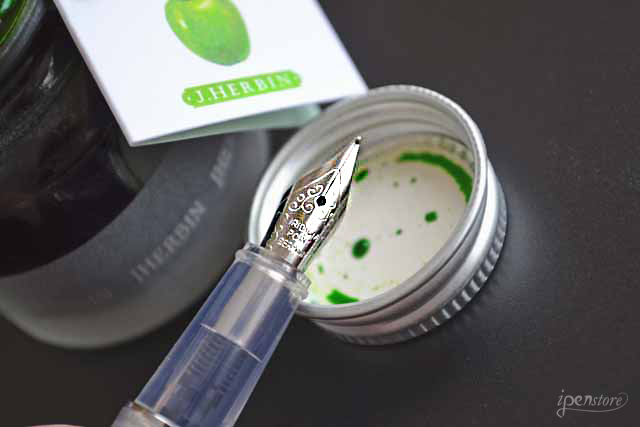 J. Herbin's fountain pen is a small compact pen with a minimalist look. Because it is a small pen, it is best used with the cap posted. This pen is a great choice for those who enjoy carrying a variety of pens of different color inks. The transparent body allows for the user to easily see the ink color, and to monitor ink levels. Refillable with J. Herbin ink cartridges or with a converter. The 1670 Collection of inks celebrates the rich life and adventures of J. Herbin, a French sailor of the mid- 17th century. He made a number of voyages to India, collecting ingredients and formulas for his inks. He began making pen inks in his Paris workshop beginning in 1700. 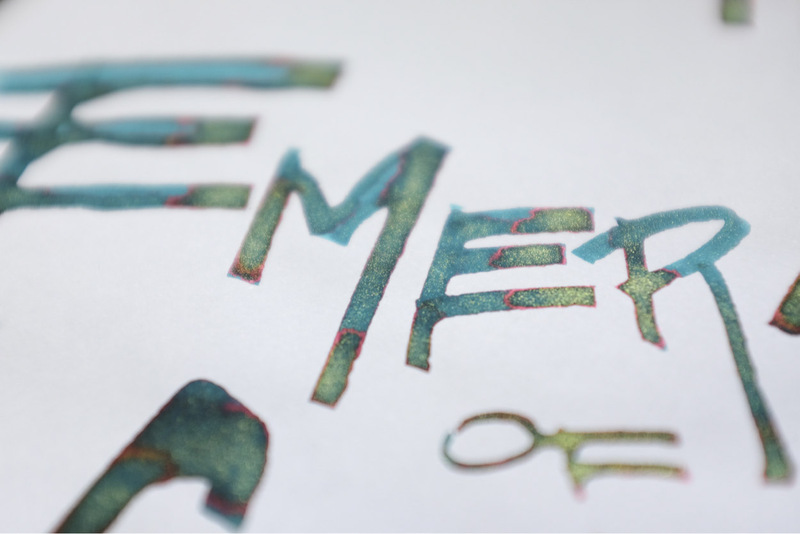 The most recent addition to the collection is Emeraude de Chivor, an elegant emerald green ink with flecks of gold. This ink is extremely popular with fountain pen ink enthusiasts, and has been received with rave reviews. 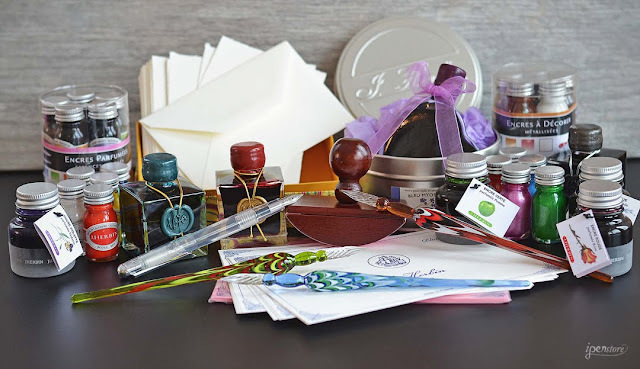 J. Herbin inks also include a number of specialty inks. 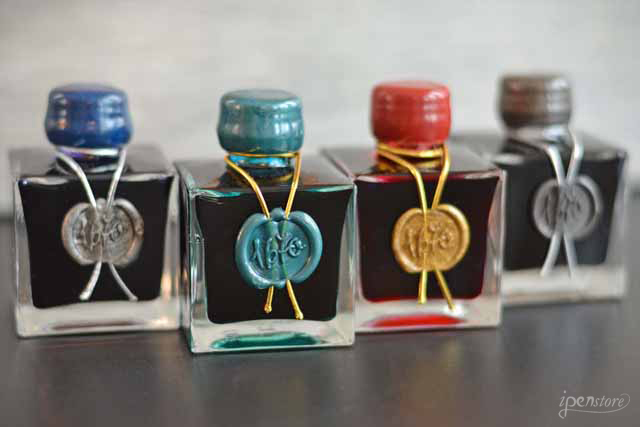 These inks include rich metallics and pearlescents and historical inks. These inks are very rich, opaque inks with a high pigment content. These inks are not for fountain pens. They should be used with steel nibs, glass, or quill pens, and the ink looks very dramatic on dark paper. The "Forget Me Not" heart ink bottle makes for an elegant and romantic gift. 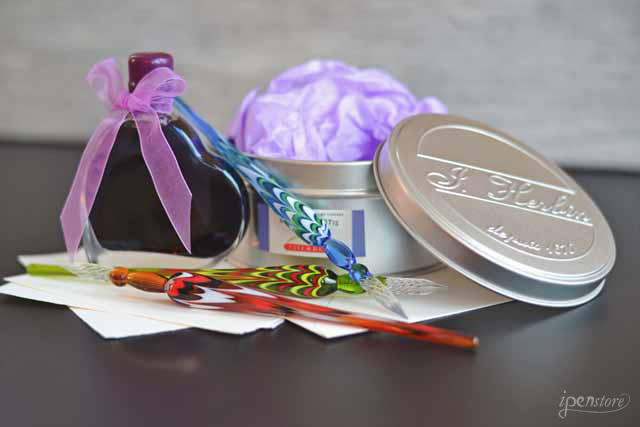 The heart shaped 50 ml glass bottle is packaged in a tin with matching color tissue paper and ribbon. This ink is available in blue or red.